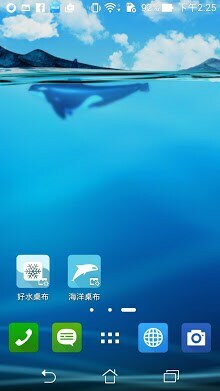 Not just a live wallpaper! 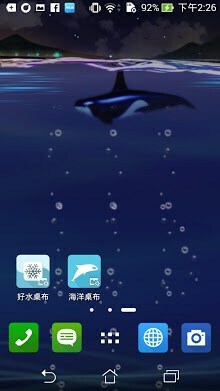 ASUS LiveOcean magically entwined Ocean level and battery, it provides new, innovative and informative live wallpaper experience that turns a smooth, interactive animation of rising and falling ocean level into a battery meter you’ll gauge at a glance – beauty and convenience combined! The scenery will also change while the shift of day time and night time. [Key features] – Watch the ocean level rise as the battery charges. – As the battery’s power reduces, so does the ocean level. – Tilt and tap your device to have fun with the water. – The beautiful scenery changes while the shift of day time and night time.